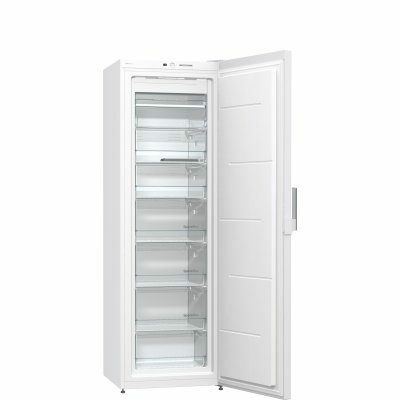 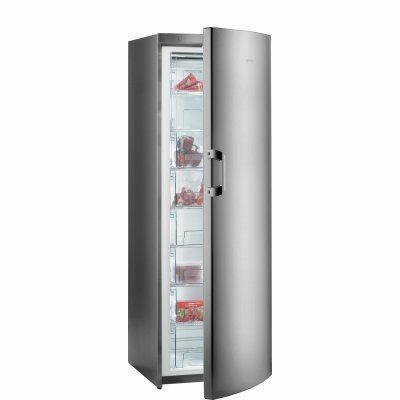 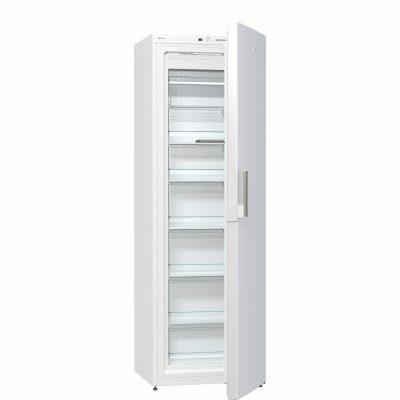 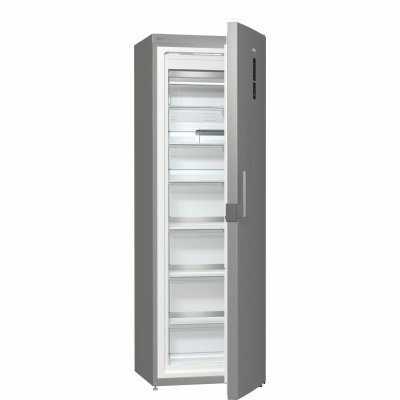 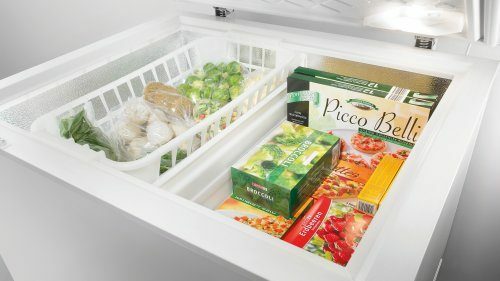 Life on the fast lane and the wish for the best food at any time require much more from an upright or chest freezer than providing space with low temperatures. 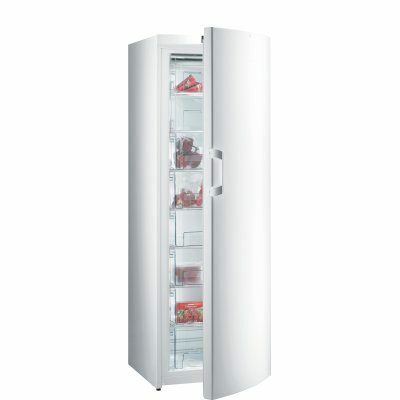 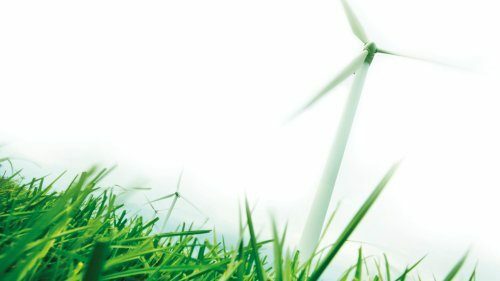 Gorenje can help out with this. 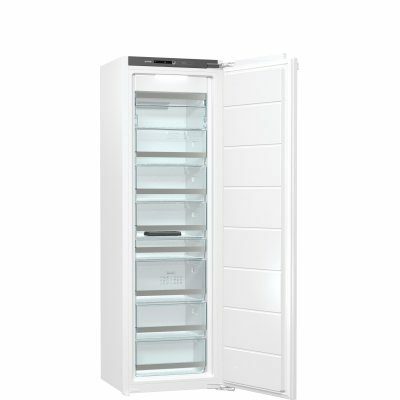 Smart technology in Gorenje upright and chest freezers will make sure the microcrystals formed during the freezing process will not damage the cells in the food. 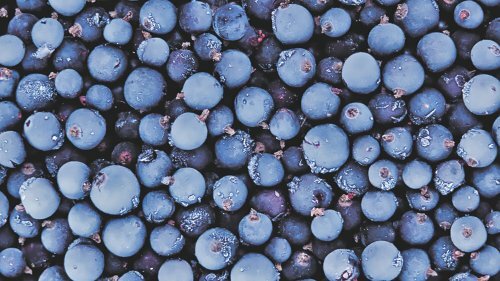 As a result, it will retain its vitamins, minerals, and – most importantly – its flavour. 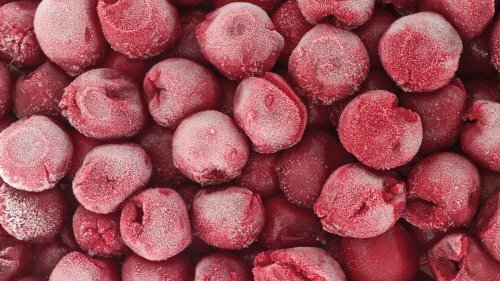 Thus, strawberries picked in the summer will taste just as sweet in the winter, and the ready-made lunch will, although frozen, wait for when you need it in the best shape. 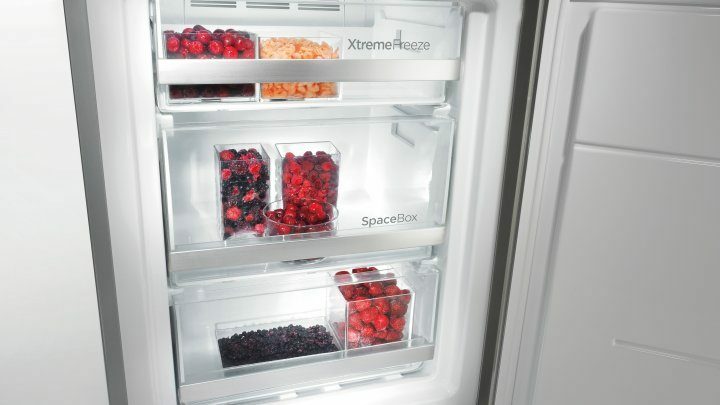 The interior is thoughtfully designed to allow neat storage of larger amounts of food. 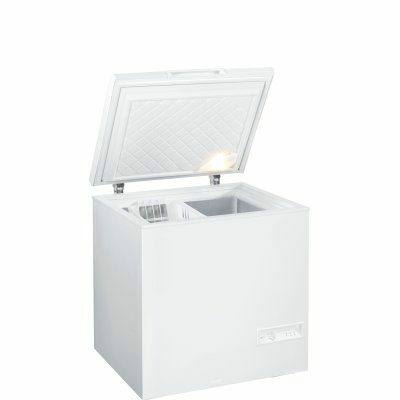 Thoughtfully placed light in the chest freezer lid will provide a clear view, and the movable baskets allow easy access to your frozen food. 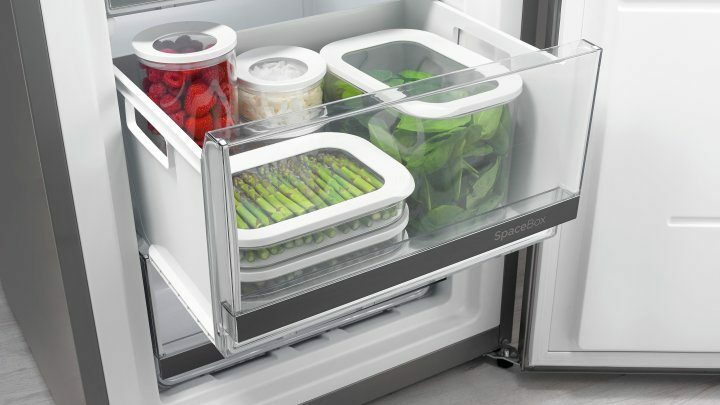 The massive heavy-duty spring-loaded metal hinge will keep the cover partly or fully open so you don't have to hold it with your hand. 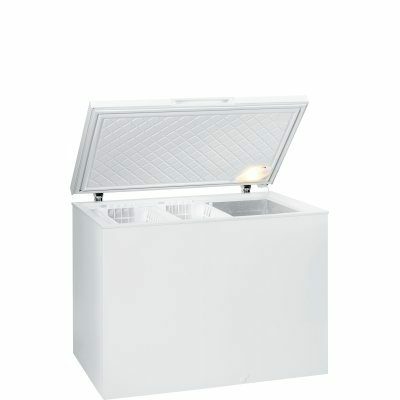 Advanced solution that equalizes the pressure to prevent vacuum after the lid is closed allows you to open the chest again immediately after you have closed it. 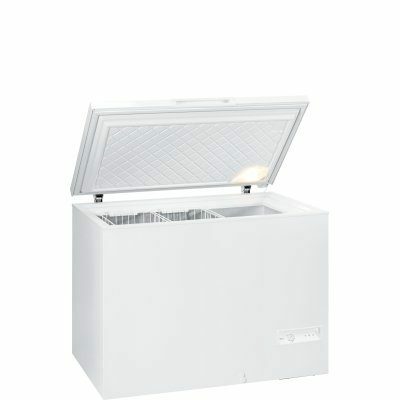 Mechanical control unit is located at the lower front side of the freezer chest. 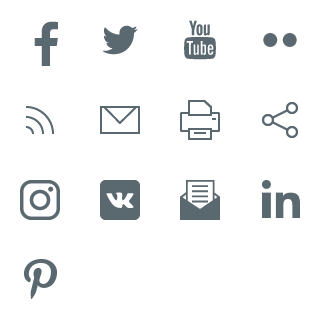 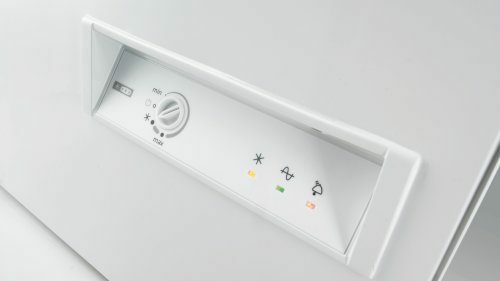 Temperature settings knob and FastFreeze function on/off key are complemented by two signal lights and a high temperature alarm light.